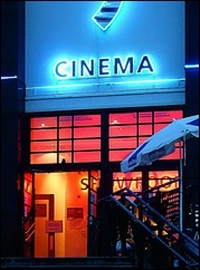 The first Creative Clusters Conference was held in November 2002 at the Showroom, Sheffield Cultural Industries Quarter, UK. It was attended by 280 delegates from 17 countries. Sheffield CIQ Agency, Financial Times, Sheffield First for Investment, Digital Content Forum, Department of Trade and Industry, Trade Partners UK, Yorkshire Forward, South Yorkshire ICT Sector Board, Department for Culture, Media and Sport, European Regional Development Fund, Council of Europe, Inspiral, Business Link South Yorkshire and Wired Workplace.